Abu Dhabi’s VOX Cinemas and its strategic partner BrandMoxie have launched The Smovies, an exciting platform that reinvents the short film competition. 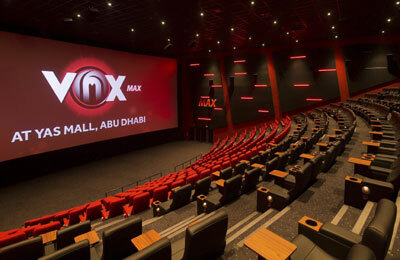 VOX Cinemas, owned and operated by Majid Al Futtaim Cinemas, the cinema arm of the wider Majid Al Futtaim Ventures group of businesses, will support The Smovies by offering screening exposure to the winning entries of the competition across its cinemas in the UAE. The Smovies will run three seasons of competitions, focusing on various themes from CSR, and National Day to road safety and other topics at the hearts of budding filmmakers. The competition has debuted with a cinema specific theme around which the first films will be created. “We are thrilled to be launching The Smovies, and are excited to be working with VOX Cinemas who are also believers in community engagement, and commitment to innovation and creativity,” said Sana Bagersh, CEO of BrandMoxie. The Smovies’ first competition will run for about a month, with submissions uploaded to the platform’s own website www.thesmovies.com. The shortlisted entries will be judged by The Smovies’ jury of film experts. After the final selection of the top entries, members of the public will be able to vote for their favourite entries. The winners of the competition will be awarded a grand prize of Dh10,000 ($27,200), with runner-up entrants receiving cinema vouchers among other gifts. The winners will have an opportunity to develop their idea into multiple vignettes, or ads, which will be screened across VOX Cinemas in the UAE. “Technology has shaped the creation and consumption of video content today and one of the more exciting directions this has taken includes the rise of user-generated content, a dynamic phenomenon that we are embracing through The Smovies,” Potts added.